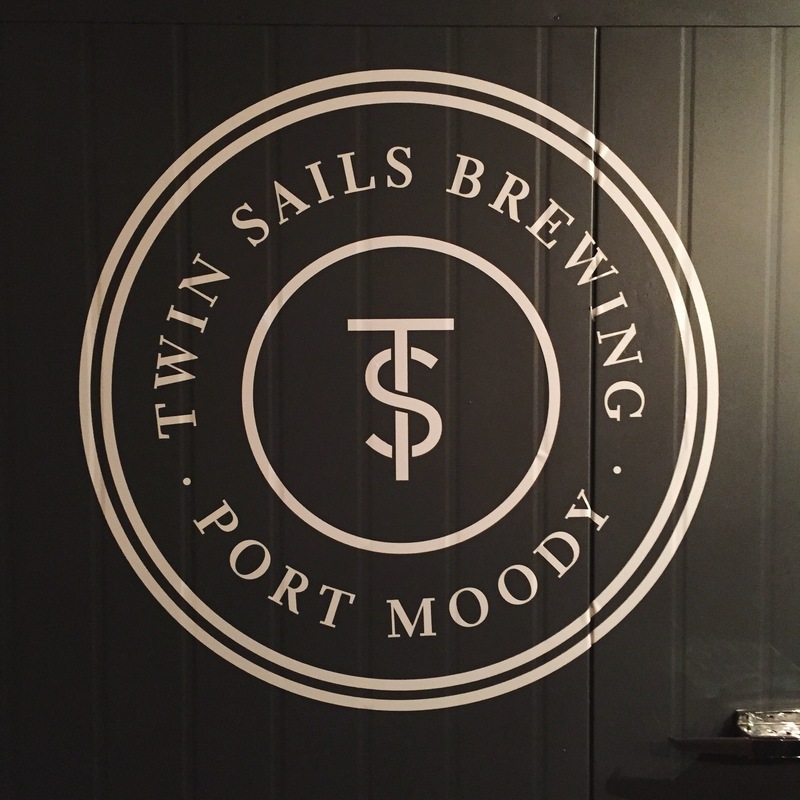 Twin Sails Brewing officially opened its doors to thirsty Vancouverites this past weekend, adding yet another great brewery to Port Moody’s already well-established craft beer scene. They join Moody Ales and Yellow Dog Brewing (literally right next door) on Murray Street, which is quickly becoming the town’s brewery district. Mural of the brewery’s logo to the left of the bar. 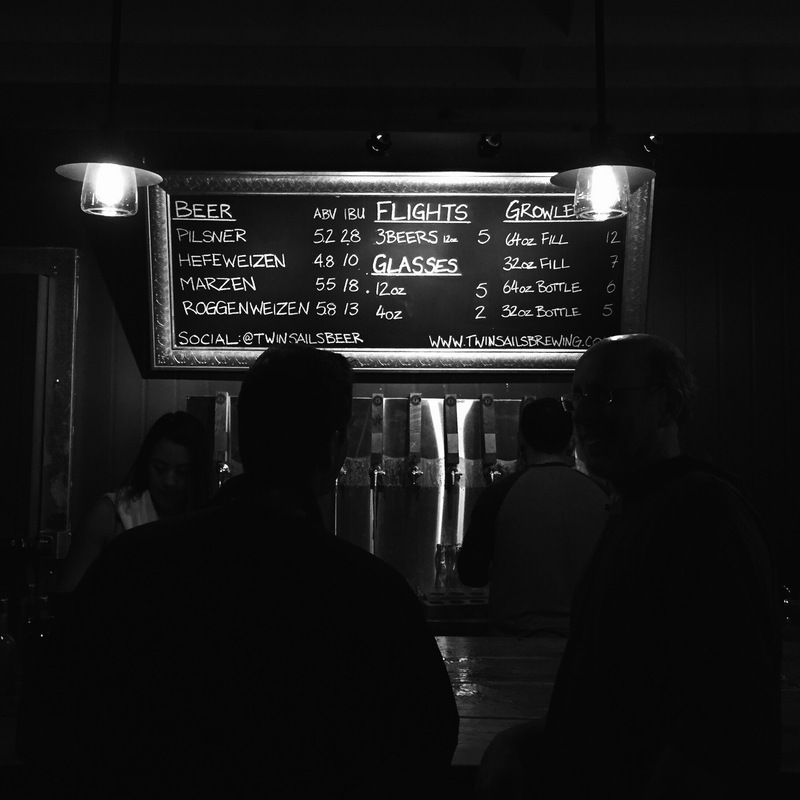 I had a chance to take a peak inside of Port Moody’s newest watering hole this past Saturday. 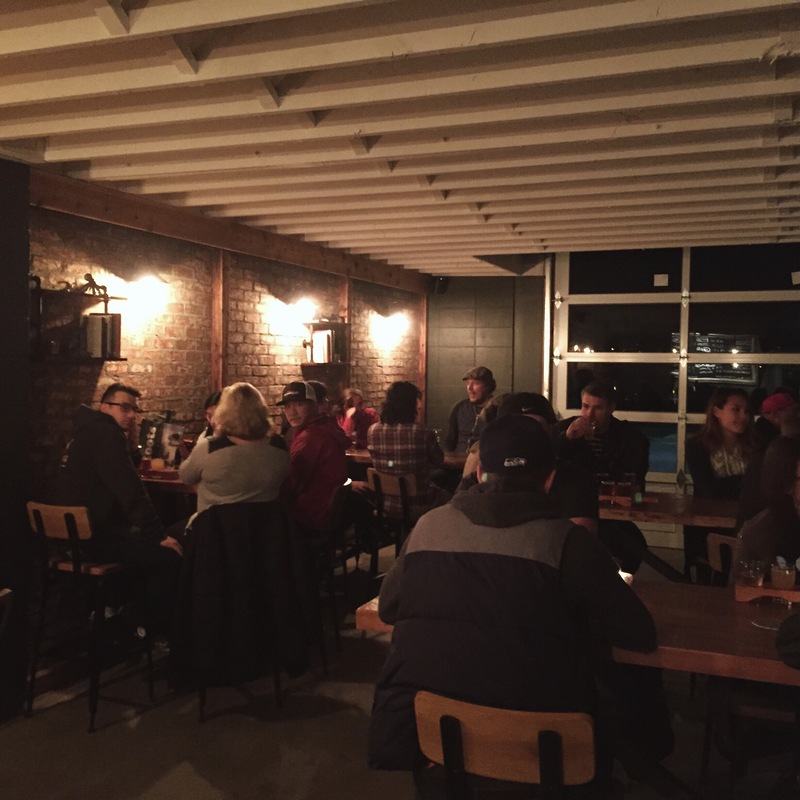 Apparently the word about their opening had spread, as the place was bustling with beer-goers eager to try some brews from the new kids on the block. The vibe inside reminded me of some of Gastown’s dimly-lit pubs. The exposed brick walls help add a vintage touch to the tasting room as well. View of the Twin Sails tasting room area. Checking out what’s on tap. I didn’t sample all four of their beers, but did grab a growler fill of the Roggenweizen. Having recently tried Steel and Oak’s version, I had big expectations for this beer. I’m happy to report I wasn’t disappointed. Full-bodied and packed with flavour, it reminded me a lot of Steel and Oak’s Roggenweizen, which is good company to keep. Definitely pick up a glass or fill of this brew when you get the chance! I was a bit surprised that they didn’t have any hoppier options on tap, with the highest IBU on their list sitting at a modest 28. This might be a strategic move though, with Yellow Dog Brewing pouring their Play Dead IPA and Chase My Tail Pale Ale next door. It’s not at bad idea to offer something on the lighter side, like a hefeweizen and pilsner, to give customers a different experience than next door. Next up for me on their list will have to be the Marzen. Until next time Twin Sails!